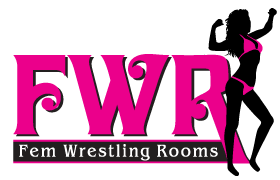 It's a well known fact that Fem Wrestling Rooms produces custom videos, but did you know that we also produce custom photo sets? Before computers people had to search the new stands for wrestling oriented magazines. The photos of female wrestling told their own story! What started this fight? What is the girl in pain thinking? Did she end up winning or losing? We LOVE to have our beauties pose for wrestling holds and this match between Becca and Peyton contains specific holds that a fan requested. This section of our set has Becca on the dominant side, Easily destroying poor Peyton.